Wall Street firm MF Global has gone bankrupt in the wake of a massive loss of confidence from investors who found out the firm had a $6.3 billion bet on the credit of some pretty shaky European countries. Much worse than simply making a large, risky bet which had the potential to destroy the firm and put 3000 jobs at risk, MF Global seems to have also used its clients’ money to make these bets for its own accounts. This mixing of client and corporate accounts is highly unethical and probably illegal. Where were the regulators? Why is this kind of thing still happening? Will anyone be prosecuted for their illegal behavior? Maybe you should ask US Attorney General Eric Holder. The main person behind this risk-taking at MF Global? Jon Corzine, former Goldman Sachs CEO, New Jersey governor, and US senator (D-NJ). Can such a powerful man be held accountable in today’s America? More coverage of the story can be found at Bloomberg Business Week. Veteran activist and Food Not Bombs co-founder C. T. Lawrence Butler is teaching three workshop sessions at Occupy Boston, courtesy of Free School University and the Facilitators Working Group. We are honored to have C. T. Butler here to help us, since, when it comes to consensus, he literally wrote the book! Confused, frustrated, hopeful, or exhausted with consensus so far? Consensus is a process that takes years to master. C. T. Butler and team want to help you of Occupy Boston do what you’re already doing (direct democracy) better. Whether you’ve had formal training or not, come to this workshop to deepen your understanding of what consensus is and is not, its structure and its inherent paradigm shifts. What’s wrong with voting? How can groups handle dominant people? Does consensus have to take so long? Bring your questions to C. T.! Interested in joining the General Assembly facilitation team or learning better skills for your committees, working groups, and affinity groups? What is the role of the facilitator in consensus and leaderless movements? Join us in developing Occupy Boston’s expertise in large and small group facilitation, so that all voices may be heard! C.T. Lawrence Butler is co-founder of Food Not Bombs. From that leaderless, consensus-based international movement and his activism against war, nuclear power, and oppressions, Butler wrote the definitive work On Conflict and Consensus. It is the only model of consensus specifically designed to interrupt privilege and oppression. His latest book, Consensus for Cities, is designed for groups of up to 100,000. As a front-line activist, Butler has been arrested over fifty times in non-violent direct action. Negotiators in Brussels agreed on Wednesday to a large expansion of the bailout fund which eurozone member nations have set up in response to the sovereign debt troubles at the epicenter of the European portion of the global financial crisis. If economies are not growing, tax receipts fall, making it harder for governments to pay off their debts. So far Greece, Portugal and the Irish Republic have received international help to deal with their crippling debt problems. In July, eurozone leaders agreed a second bailout deal for Greece, and also agreed more powers for the European Financial Stability Fund to help countries struggling with indebtedness. This allowed the fund to buy government debt (bonds), offer credit to nations in difficulty and created a special facility for recapitalising banks. Wednesday’s development greatly increased the size of the EFSF bailout fund, from 440bn euros to 1tn euros. This money comes from the richer countries, such as France and Germany, by way of taxpayer funds or inflation from the countries’ central banks printing money. As a condition of their help, the donor nations insist on budget reforms in the countries who receive funds. In Greece, this has resulted in austerity measures such as wage and pension cuts that have sparked sometimes violent protests. With the complexity of today’s globally intertwined financial markets, the biggest fear of authorities is contagion, whereby a faltering bank or government causes a cascade of failures of other banks or governments who hold debt or other interests in the troubled entity. In the United States, the taxpayer-funded TARP program and trillions of dollars in near-zero-interest loans made by the Federal Reserve have been used to prevent contagion. This most recent eurozone deal has resulted in some losses and concessions from the banks and countries which hold troubled assets. Banks and creditor nations have agreed to swap old bonds the Greek government has little hope of repaying for replacement bonds that pay less interest. In addition, banks will be forced to raise additional capital to reduce their risk of failure in the event of a future contagion. Like many of the deals reached in recent years around the world, these agreements represent enormous sums of money, yet few people understand where it’s coming from or going to, and most decisions are made behind closed doors by negotiators from banks, central banks, and the national treasuries. Protesters from the streets of Greece to the encampment of Occupy Boston are demanding greater transparency in such deals, and greater consideration of how people will be affected, rather than worrying only about saving banks which have chosen to make risky loans. The Occupy Boston Globe has surpassed the funding threshold of $8,000 on its Kickstarter project, enabling the fledgling newspaper of Occupy Boston to come out of cyberspace and into the streets. The Occupy Boston Globe has been publishing as an online newspaper since early October, about 10 days after the Occupation started. But the denizens of Dewey Square themselves have so far been the least likely to see a copy, since funds for printing hard copy versions of the newspaper were not available. Like everything else that has happened as a result of the movement, The Occupy Boston Globe grew organically when a loosely connected group of individuals decided to focus in on a project. Today’s free and easy Internet allowed the group to start providing an online edition almost right away. Then the aspiring publishers started a Kickstarter project to raise the funds they thought they would need to print both a daily and weekly edition, the latter to be distributed not just in camp, but across Boston. A group of us within the Occupy Boston encampment saw a need to provide more detailed, objective coverage of the events unfolding not only here in Massachusetts but across the country. Traditional media sources have served to raise awareness of our movement, but have thus far been inadequate in reporting on us as a group and as a diverse collection of individuals from across the social and economic board. Access to clear, accurate information is necessary for a true democracy to function; this is exactly what we want to give. The Occupy Boston Globe was founded with a two major goals in mind: to provide accurate, in-depth accounts of Occupy Boston (including the broader issues that affect our movement) and to provide practical information on the goings-on at Dewey Square on a day-to-day basis. With the $8,000+ they’ve raised through Kickstarter, the publishers have what they need to print and distribute at least two or three editions of the hard copy paper. They haven’t yet settled on what printer they will use, and distribution is still a question mark too. They may need to rely on their own manpower (and any volunteer help they get) in order to distribute it to all of the neighborhoods of Boston they would like to cover. They are also offering home delivery via mail to those willing to donate $40 or more to the Kickstarter project. Now that funding has been secured, the print editions could hit the streets as early as the end of next week. If the newspaper is successful, the publishers will need to find an ongoing source of funding to meet the demand. It will be interesting to see how this Occupy-style enterprise turns out. 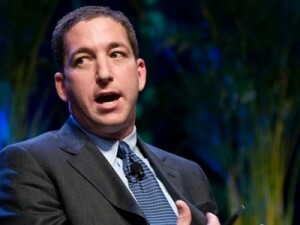 Writer, blogger, and constitutional lawyer Glenn Greenwald will be speaking at Occupy Boston. Originally scheduled on Saturday, October 29 at 4:00 PM, Greenwald’s appearance has been postponed, probably until Nov 9 or 10, due to weather-related travel problems. Greenwald is widely known through his blog on Salon.com, where he writes scathing, intelligent, and highly documented critiques of corrupt and hypocritical politicians and the media outlets that enable them, regardless of which political party they may be associated with. 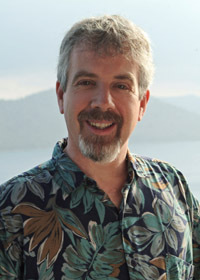 He has also written several highly acclaimed and popular books of political critique, including How Would a Patriot Act? and Great American Hypocrites. Greenwald’s new book, With Liberty and Justice for Some: How the Law Is Used to Destroy Equality and Protect the Powerful, speaks to many of the issues that inspired the birth of the Occupy Movement. Greenwald has particularly high credibility on this subject, due to his background as a constitutional lawyer and his willingness to criticize abuse of power no matter which part of the political spectrum it’s associated with. Check Greenwald’s book tour page for a full listing of his area appearances, and notification of any last-minute changes to his schedule.